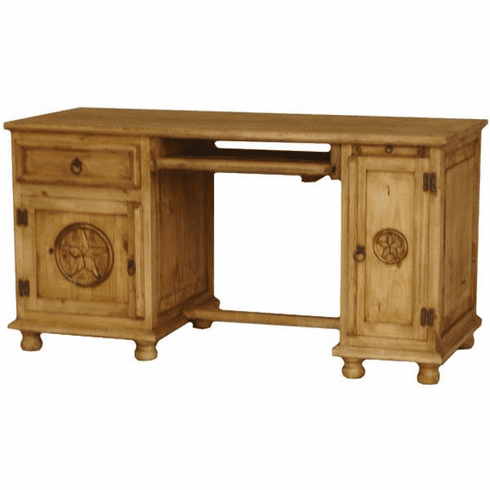 A beautiful and elegantly crafted wood computer desk with plenty on room for your computer hardware, from our mexican rustic star furniture collection. Features include made from 100% pine wood, sliding key board, and forged wrought iron hardware to enhance it's rustic look. No assembly required, comes in one piece.